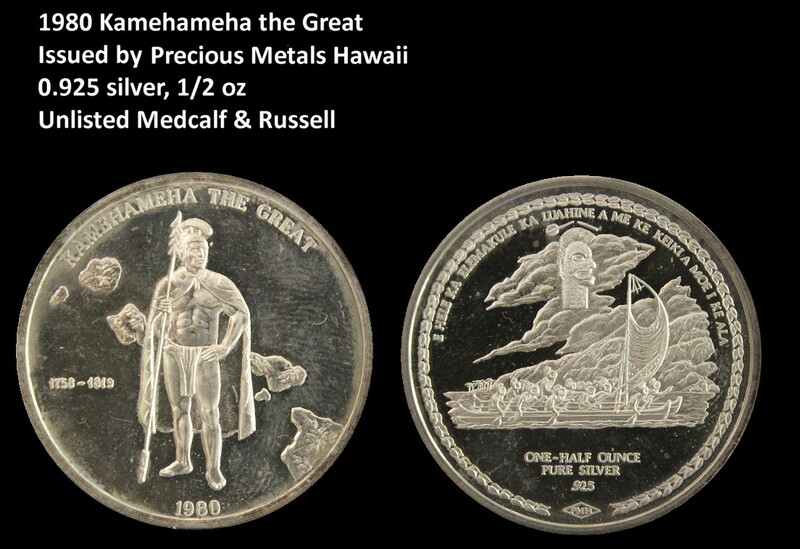 This is a Precious Metals Hawaii (PMH) issued 1/2 ounce sterling silver (0.925 fineness) coin. The PMH hallmark is on the reverse bottom. I will have to send this to NCS to get conserved to remove the clouding and finger prints on the obverse. Even though this coin is not listed in Medcalf & Russell, I have seen a gold 1 ounce version encapsulated and graded by NGC. Due to the rise in silver prices in the 1980’s, it is generally believed that most of these silver (and gold) coins were melted. 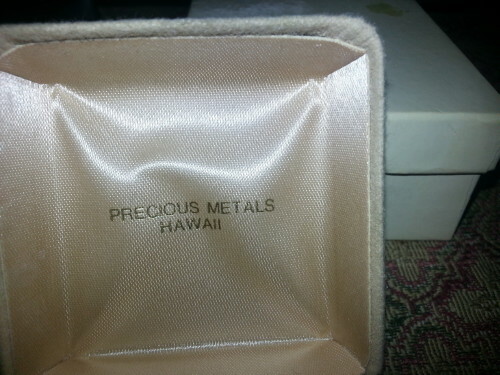 The PMH hallmark is Precious Metals Hawaii and not Pacific Medals Hawaii. I have the original presentation case and box for this coin. The coin was issued without encapsulation. The gold 1 ounce version of this coin was identified in one of my March 2013 blog entries.